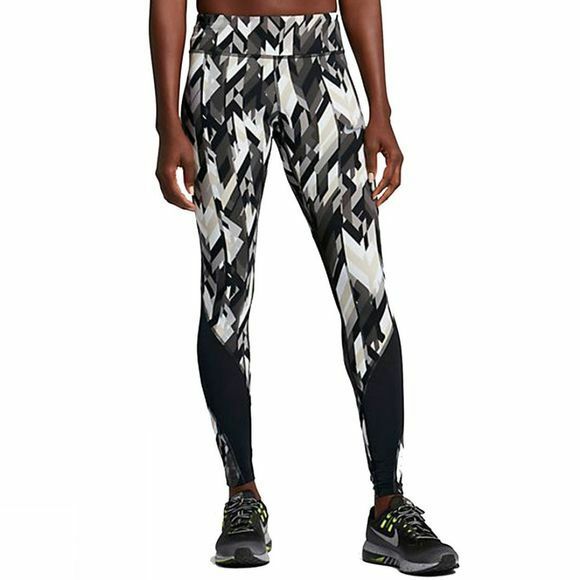 The Nike Power Epic Lux Women's Printed Running Tights provide excellent stretch and support to ensure you always have the best run possible. The Nike Power fabric gives a great fit that supports muscles without restricting your natural range of movement. Mesh fabric located at the back of the knees add ventilation for when the temperature rises. Handy stash pockets on the waist band and a waterproof back pocket allows you to store all your essentials easily.